Resign the past to history, learn from the experience and return stronger; that was the goal for Frenchman Joe Seyfried at the Seamaster 2018 ITTF World Tour Platinum German Open; he met all three criteria. On Thursday 22nd March, he won the Under 21 Men’s Singles title; the first such accolade of his career. 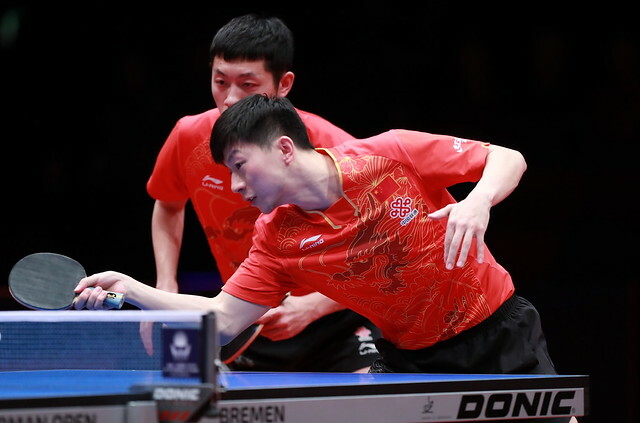 Two weeks earlier at the Seamaster 2018 ITTF World Tour Platinum Qatar Open, at the quarter-final stage of the Under 21 Men’s Singles event, Joe Seyfried had led China’s Xue Fei 10-6 in the vital fifth game. He lost the next six points. 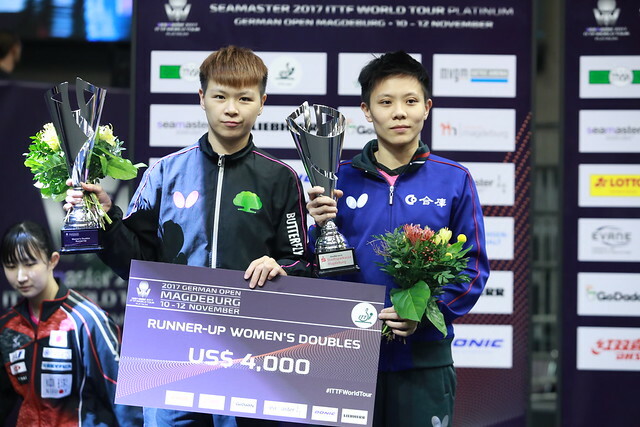 Xue Fei progressed to win the title. In Bremen that escapade had to be wiped from the mind; Joe Seyfried succeeded. The no.4 seed, at the final hurdle he beat Sweden’s Truls Moregard, the no.15 seed, a young man who ever since reaching the final of the Boys’ Singles event at the 2017 World Junior Championships has moved to a new level; Joe Seyfried prevailed in four games (14-12, 6-11, 11-4, 11-7). Impressive in the final, one round earlier he had been arguably even more impressive, he had beaten Romania’s Rares Sipos, the no.11 seed in three straight games, affording his adversary a meagre 12 points (11-9, 11-2, 11-1). At the same stage in a rather more closer contest, Truls Moregard had ended the progress of Korea’s An Jaehyun, the no.28 seed (9-11, 11-8, 5-11, 11-8, 11-6). Victory, it is the 25th time that France has been the successful country in an ITTF World Tour Under 21 Men’s Singles event; Joe Seyfried is the 15th Frenchman to achieve the feat.